Five ways to make better decisions. 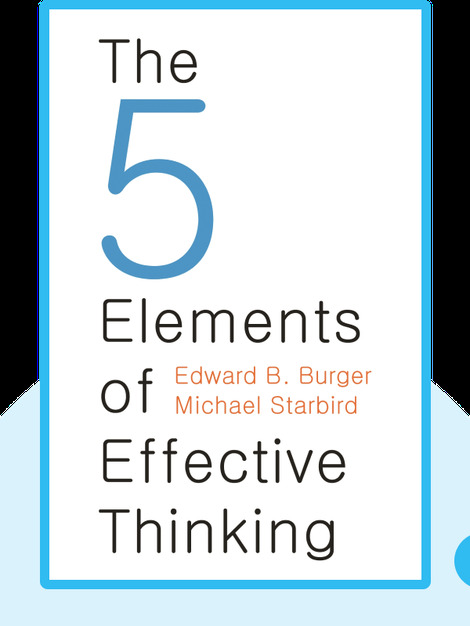 With The Five Elements of Effective Thinking, you’ll learn how to think effectively and realize your full potential. 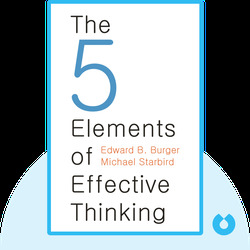 Using as an organizing principle the four elements – earth, fire, air and water – the authors explain many techniques for improving the way in which we think. With the addition of a fifth element, change, they demonstrate how adopting the right attitude helps to bring about lasting, positive change. Edward B. Burger is an educational and business consultant and president of Southwestern University in Texas. His teaching and scholarly works have earned him many honors in the United States as well as the biggest teaching award in the English-speaking world. Michael Starbird is a distinguished teaching professor at the University of Texas at Austin and a business and educational consultant. He has been awarded with the highest American teaching award in his field, and his many books, lectures and workshops have reached large national audiences.